The Gila trout is one of the rarest trout species in the United States. Historically, the fish was native to the San Francisco, Verde, Gila and Agua Fria River drainages in New Mexico and Arizona. By the 1950s, however, its range was reduced to only four streams in the Gila River headwaters in New Mexico, and none were found in Arizona. The Gila trout was listed as federally endangered in 1967, and re-classified as threatened in 2006 after efforts to restore populations were successful. 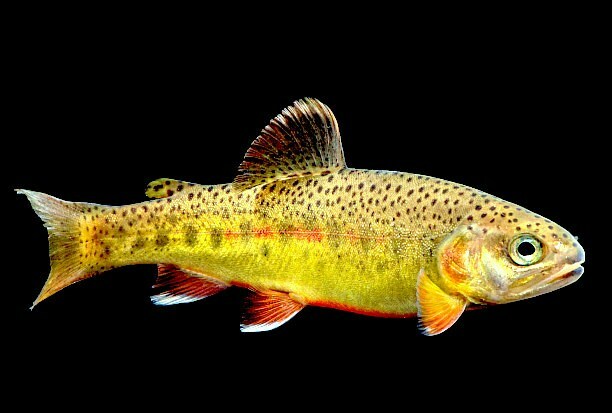 The Gila trout can grow to about 17-18 inches and is yellowish-brown, gold or copper.